We have just offered the following comment on a Blog Post by Sopphey Says. “It was great to find your post. Just to let you know we plan to reblog this post as we’ve just been awarded two different “Liebster Blog Awards” with slightly different requirements. We did exactly what you’ve done and tried to find out the origin. Your post has saved us a lot of work. Thank you. Finally, after several hours and various Google queries. I’ve found the original Liebster Blog Award rules. I wish I could find the original post, too. However, some of the older mentions of the award have been either been deleted, or changed URL names. At first, I received the blog award from two fellow bloggers. 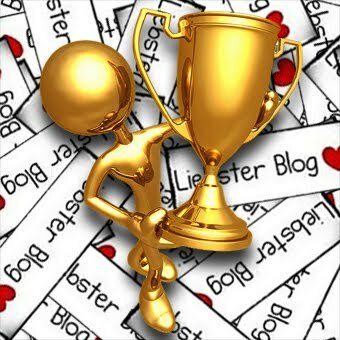 I went to Google and searched for the term “Liebster Blog Award” and found an endless list of blogs that received this award. I then changed the query to reflect blog posts posted in 2010. I got closer to the origin, yet not close enough before I decided to call it a day. The most I learned was that it was kind of like a chain letter, a blogger to blogger award, you had to nominate 5 bloggers with less than 200 readers, “liebster” is dearest in German, and that no one knew the origins. Then, I received my third award. Three’s the charm, right? I couldn’t live with three awards/nominations without knowing the origin so I went on another wild search. 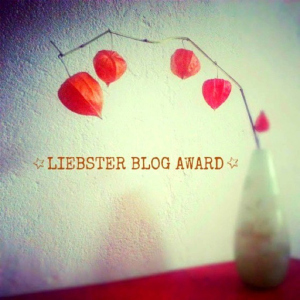 I changed my criteria until I searched for blogs that contained the “Liebster Blog Award” in the title or in the URL. The earliest mention I found so far happened on December 19, 2010 by a German blogspot blogger. So there you have it! The origins of the Liebster Blog Award. You can read my original post about the nomination in the post Crazy Dreams and Nominations. I’m still trying to figure out if I want to add to that post or create a whole new post for my second batch of nominations. We’ll see. ***A sort of edit/note. The real “gist” of the Liebster Award is that there is no real award. There are no judges, no special rules. No website with an official team to congratulate you and hold your hand. It’s mostly what you want it to be. If you receive the award, you can 1) accept it and 2) pass it along. It’s that easy. This entry was posted in Blogging, Writing and tagged awards for blogging, Liebster Blog Award. Bookmark the permalink.